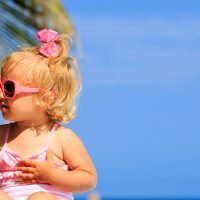 As a travel writer, I was taking 30 trips a year before I had kids. I was traveling almost exclusively to exotic international locales-Egypt, South Africa, Tunisia, Bali, Palau, New Zealand, Australia, the Galapagos Islands, French Polynesia and more. Then I got married, and six months later was pregnant with my first child. I was so excited and ready to alter my life for a baby. I found out my baby was a boy and started wondering what he would be like and what I’d be like as a parent. Would he like to travel? Oh, the trips we’d take together! I was so excited during the pregnancy-I was one of the few crazy moms who loved being pregnant. In fact, I remember telling someone that being pregnant was what I thought it would feel like to be on Prozac — I was happy all the time. I couldn’t wait to meet this little man. Then I had a very difficult delivery that resulted in an emergency C-section. I’m not sure if it was the delivery (my husband thought he was going to lose me; I thought I was going to lose my baby) or the difficulties post-surgery (my C-section scar wouldn’t close; I got mastitis and thrush from breastfeeding), but the tears started after birth and didn’t stop for a long while. I felt utterly overwhelmed and I literally couldn’t stop crying. I second-guessed every natural instinct I had about my baby and myself. Should I keep breastfeeding, even though it was a nightmare? Should I take on a new freelance project? Then, five weeks after my baby’s birth, my husband lost his job. We couldn’t seem to catch a break. A few months later I was offered an assignment to go to California. At first, I turned it down. I had a baby and I couldn’t leave him. But then I had a different thought-could going back to something I love, something that gave me so much inspiration, excitement and optimism, actually help me get back to myself… and my family? I took that trip (it was only four days), but I felt like a changed person. I actually slept and instead of worrying about all my choices and if they were good ones, I trusted my husband was doing a good job and I tried to be in the moment for a few days. And that’s really how travel brought me back to myself. 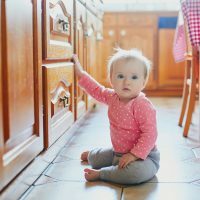 While 30 trips a year was no longer feasible with a newborn at home, I slowly started taking on short assignments — mainly domestic — and sometimes I took the baby. I tweaked my old travel life to make it work for my new family. Grandma spent time with my baby, which they both loved, and I got a well-needed break from all the decisions and exhaustions of motherhood. Slowly, my depression started to wane and I began to feel like myself again. I got the baby a passport at three months and took him (and the husband) to Beaches Resort in Turks and Caicos. That first passport stamp felt like a turning point. In the years since, we’ve used that passport many times, taking my baby (now an 8-year-old boy) and his brother to hold alligators in Mexico, swim with sea turtles in Nevis and slide down the heart-pounding slides at Atlantis Resort. My boys travel with me throughout the year. I also travel solo. My love for travel never dwindled, but my schedule has changed to accommodate all the new things in my career and motherhood. I love sharing with my boys my love and enthusiasm for visiting new places-both domestic and international-and making the most out of each trip. I can’t imagine travel not being a big part of our lives. 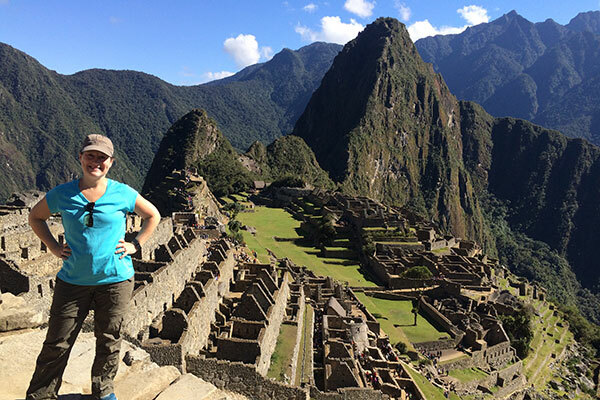 I’m glad at a time when I needed it most, I remembered just how life-changing travel can be.